Chinese President Xi Jinping on Sunday called on the Shanghai Cooperation Organisation (SCO) member states to strengthen the foundation for shared peace and security.Xi made the remarks at the 18th Meeting of the Council of Heads of Member States of the SCO in the coastal city of Qingdao, reports Xinhua news agency. 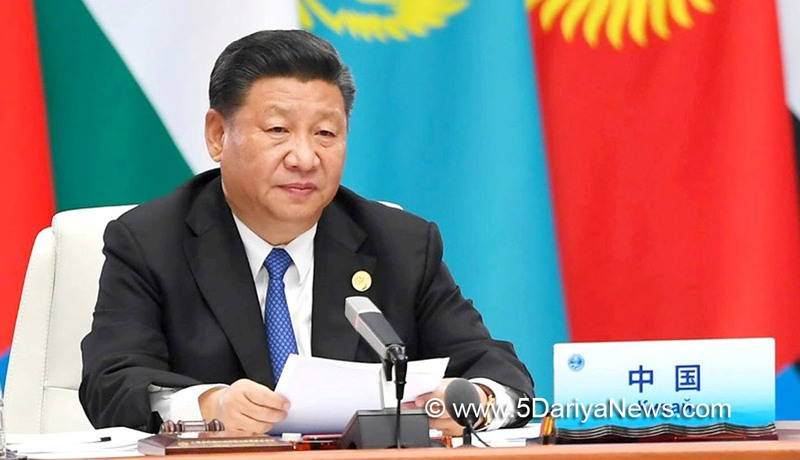 "The SCO member states need to actively implement the 2019-2021 program of cooperation for combating terrorism, separatism and extremism, continue to conduct the 'Peace Mission' and other joint counter-terrorism exercises, and enhance cooperation on defense security, law enforcement security and information security," Xi said.He called for efforts to give full play to the role of the SCO-Afghanistan Contact Group to facilitate peace and reconstruction in Afghanistan. "China offers to train 2,000 law enforcement officers for all parties in the next three years through China National Institute for SCO International Exchange and Judicial Cooperation and other platforms to enhance law enforcement capacity building," he said. The Chinese President also called on the member states to build up strength of unity and mutual trust by ensuring full implementation of documents including the Qingdao Declaration, and the Outline for the Implementation of the Treaty on Long-Term Good Neighbourliness, Friendship and Cooperation. "We should enhance mutual understanding by putting ourselves in others' positions and boost harmony and unity by seeking common ground and setting aside differences. "The SCO is an Eurasian inter-governmental organisation, the creation of which was announced in 2001 in Shanghai by Kazakhstan, China, Kyrgyzstan, Russia, Tajikistan and Uzbekistan. It was preceded by the Shanghai Five mechanism.his will be the first time India will be participating in the SCO Summit after being granted full membership of the bloc, along with Pakistan, in June 2017.